Mrs. Sharda Balaji, is a qualified corporate and IP lawyer and a company secretary, and is the founder of NovoJuris Legal a well known law firm in India. She is an active angel investor, sits on the Board of Faiveley, world’s largest railway equipment manufacturer, on advisory Board of many technology companies. She is based in Bangalore. Sharda has worked in various MNCs, including Intel where she was responsible for South Asia, and many other large corporate, including handling their IPO as in-house counsel, before starting NovoJuris Legal, 10 years ago. She has direct working experience in India, Singapore, and Mauritius. 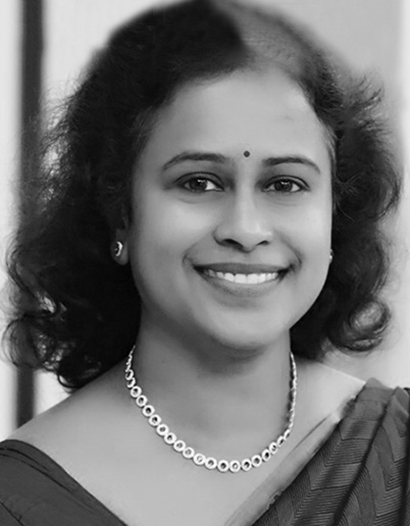 Sharda Balaji joined CBA as Legal Adviser in Bangalore, India in December 2017.